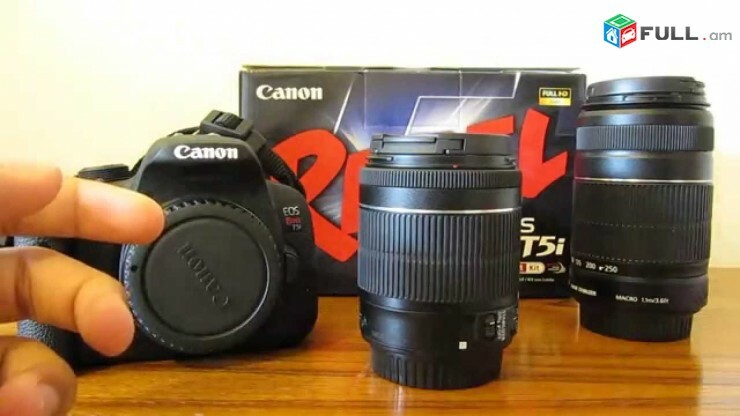 Canon rebel t5i EOS 700d SLR Camera with EF-S 18-55mm f / 3.5-5.6 IS stm Lens tupov. Ամանորի լաւ նվեր ցեր սիրելիներուն. Canon Zoom Lens EF-S 18-55mm 13.5-5.6 is stm. + blenda. 16g. B s. D card. *2 մարտկոց. Վաճառում եմ ֆոտոապարատ Canon T5i արտսդրված է ամերիկյան շուկայի համար, ավելի որակեալ. Քան 700d ին, 0գտագործած է շատ քիչ թարմ վիճակում, նկարված է ընդամենը 7000 կատր.